What To Write In The Perfect Resume — MooreSuccess Inc. The resume is the first step in the hiring process. This will either make or break you depending on how well together it is. Hiring managers are known to only spend between 5-7 seconds on reviewing a resume. So having a resume that stands out is a necessity. Where do you go when you want to have a resume that stands out? Visualast.com is the first site that comes to mind when we think about resumes, not only because it is brand new, but also because it is the best one out there. First of all, it is very easy to use – you register, input your information, then choose your template. After that, you can share your resume or download it in PDF or Jpeg format. This process allows you to get a beautiful, professional visual resume. An important step is, to focus on the job offer and elaborate your resume tailored on it. What is the company looking for? What makes you the perfect candidate for that position? To answer all these questions allows us to spot the most relevant elements to insert in the resume, such as a university course on the subject, a similar work experience, the knowledge of a specific language or a technological tool. Let’s also not forget interests, volunteering activities and other similar information that contribute to display your profile in a good, coherent way. While content is essential in order to write an effective resume, style is as important – simplicity and clarity are the principal aspects to keep in mind, especially considering the huge number of resumes employers receive every day. To highlight the most important facts and to make reading easier it is useful to use bold, to leave blank spaces and to utilize chronological order. If you are looking to have a resume that stands out and gets you an interview you want to use Visualast. With Visualast you can create an infographic resume that will be sure to grant you an interview. The steps to generate it are easy and can take you 10 minutes or less to have your resume ready. In addition, there are numerous themes to choose from so you can use multiple copies of your resume. Each theme is different so you can take a look around and see which theme(s) are right for you. 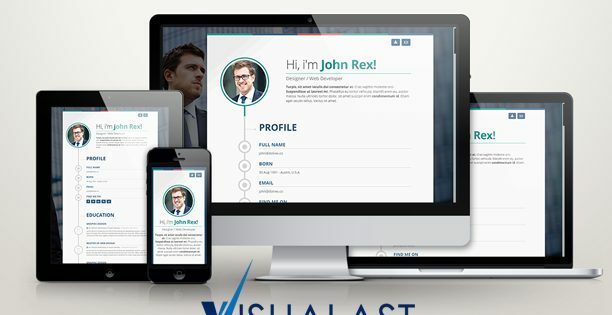 visit Visualast today to create a resume that stands out.